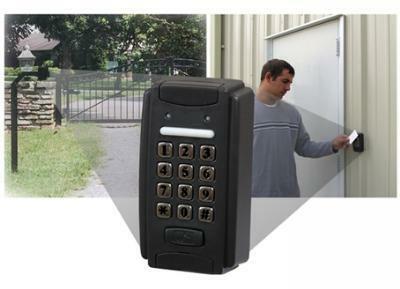 The Universal Keypad and Proximity Card Reader is great for any secure access area. Businesses and residential areas alike will enjoy the speed and convenience of proximity cards. The device may be used with gate openers, garage door openers, electric locks, electric door strikes, and other electronically controlled access devices.